Title chasing Borussia Dortmund defend a seven point advantage atop the Bundesliga table when they welcome unpredictable Hoffenheim to Signal Iduna Park Saturday afternoon. Lucien Favre’s Black and Yellows are in a mini slump by their high standards as on Tuesday they followed up last week’s one-all draw with Eintracht Frankfurt with a penalty shootout loss to Werder Bremen in the German Cup. Swiss tactician Favre isn’t overly concerned because title rivals Bayern Munich fell 1-3 at Bayer Leverkusen, allowing his pacesetters to extend their advantage atop the table by a solitary point. Besides, Dortmund come up against a Hoffenheim side that has mustered just one victory in their last eight league outings. 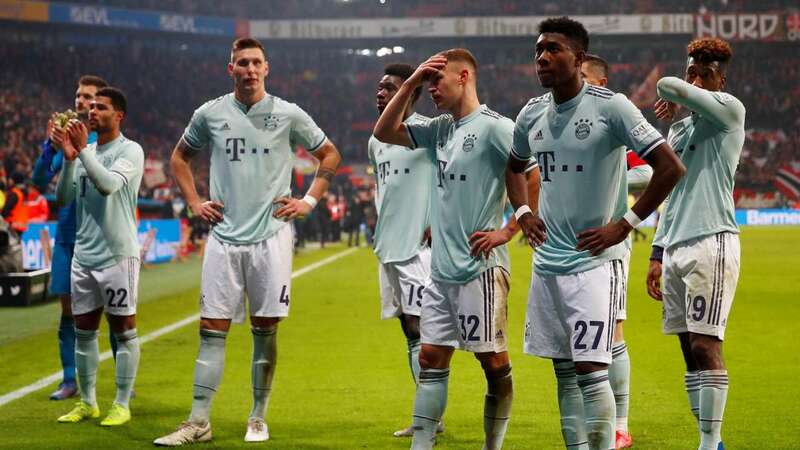 Defending champions Bayern Munich needed extra time to overcome Hertha Berlin in the DFB Pokal on Wednesday, so there is a strong likelihood that boss Robert Kovac will ring the changes to keep the Bavarians fresh for the visit of Domenico Todesco’s Schalke. Though the visitors have turned the corner following a nervous start to the campaign, Bayern Munich are overwhelming favourites to garner maximum returns. At Borussia Park, Dieter Hecking’s resurgent Borussia Moenchengladbach expect to continue their stellar home record when they confront Hertha Berlin. The 1970s behemoths are in the midst of their best league season in four decades and find themselves in second place, above Bayern Munich on goal difference, courtesy of a string of gutsy displays that have seen them garner all available points since the Bundesliga resumed after the winter break. At the Red Bull Arena, Ralf Ragnick’s Leipzig battle Eintracht Frankfurt fully aware that the game will have a strong bearing on which team clinches the fourth and final Champions League berth available to Bundesliga sides. Leipzig talisman Timo Werner is poised to return from injury to help counter Frankfurt’s fabled front three of Luka Jovic, Sebastian Haller and Ante Rebic.